With so much choice, camping in Cornwall has so much to offer. We asked Peter Bull resorts why so many holidaymakers are taking their tents and caravans to go camping in Cornwall. They told us, "Campers are attracted to Cornwall by the beautiful coastline, friendly communities and huge range of things to do, as well as our delicious local food". So let's look to see why caravan and camping site holidays in Cornwall make such special lifetime memories. From rugged moorland wilderness to those stunning beaches with their infamous surfing and sailing areas. And for campers, there are holiday parks in all areas of this peninsula. Do you want to visit Cornwall campsites or holiday parks by the beaches and along the coastline? So many people do, with good reason. Those Cornish beaches are amongst the best in the UK. 13 beaches with Seaside Awards and 8 have Blue Flags flying proudly. In fact, Cornwall has the highest number of Blue Flag and Seaside Awards in the UK. That's really something to see. What do awards and flags mean for your Cornwall camping holiday? These awards and flags mean that you can be confident that the beaches you visit while on holiday will be clean, safe and managed with the facilities you and your family need. No beach is the same, with both shingle beaches and fine golden sand attracting beach lovers to the mile long expanses and tiny hidden coves. The fun is investigating them and finding your favourite! Taking a dog camping can be hard work but can be a lot of fun with a little doggy preparation. There are a selection of dog friendly beaches in Cornwall, which are perfect for taking your four-legged friend for a walk when you are staying at a dog-friendly campsite in Cornwall. It's worth checking out the beach calendars as some beaches are Dogs Welcome All Year, while others operate Dogs Welcome Seasons. For geology lovers, the stone in this area are varied. Taking a trip to the Lizard peninsula is well worth a visit to see examples of rocks found no where else in the mainland Britain. Being so close to the sea brings obvious benefits. The culinary specialities of Cornwall include a host of fish dishes served in the quality pubs and restaurants for those looking for a tasty treat. The land itself is perfect for raising cattle, and so the local dairy based products are highly sought after. It's well worth sampling Cornish clotted cream and ice-cream (we recommend Roskilly's for true delight). Often you can buy these local foods from the campsite restaurant and shops, for enjoying outside your tent. This is a surfers heaven. That sea. Those waves. But for non surfers, there are also plenty of activities for during the day. This attracts over a million visitors each year and is a family friendly destination with two 'Biomes' and outdoor gardens filled with exhibitions, activities, tropical and local plants. For those who are looking for a wilder experience, there are a number of easy walks in Cornwall. The hills of Kit Hill are filled with archeological finds and stunning beauty, and the area around Bude is perfect for hikers, walkers and rock-climbers. If you want to venture further, walking in Dartmoor is a beauty spot of bleak beauty and wild wilderness and there are a number of easy walks closeby in North Devon. For more details on caravanning in Cornwall, follow Kate as she takes her partner and their caravan through the incredible scenery of South Cornwall. Peter Bull Resorts have three parks which are all within walking distance of a beautiful beach, top quality restaurants and awesome coastal walks.  For other camping and caravan sites in Cornwall, check out our Cornwall listings.